The average worker stays at his or her job around 4.5 years (for younger employees it’s about half that). So we take time to celebrate extraordinary dedication and loyalty of our employees. Betty, Darren and Roy have been with us for 25 years! 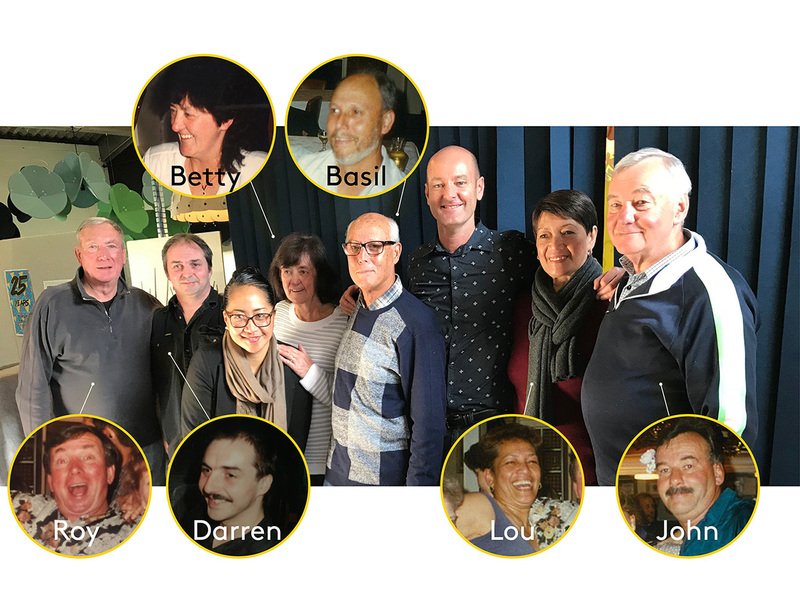 At a morning tea on Friday we took a trip back to 25 years to honour them. 1993… when the clothing was bright, hairdos were large and the moustaches proud! All three employees joined Finewood, our founding company, 25 years ago after working with Designer’s Collection, one of our oldest business partnerships. Rod Hanna (owner) and Vai Kaisieli (logistics manager) of DC joined in the fun. We also recognised Basil, Lou and Mike – additional long service employees. Thank you for your hard work, all. You are a special lot. Finewood Factory in Avondale, 1994. Learn more about our history and company story.